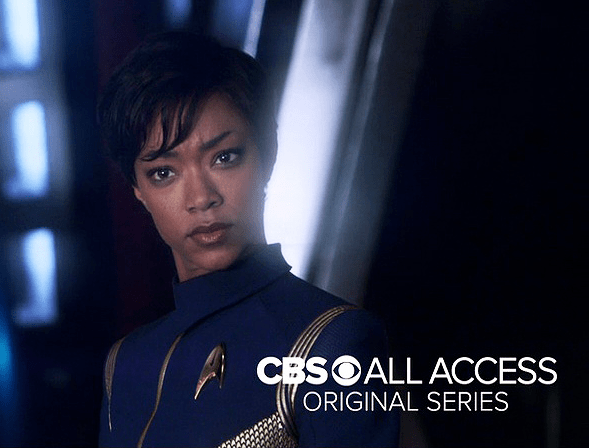 Michael Burnham and the Vulcan Connection. Spock/Uhura’s Daughter? There's a lot of speculation of a Vulcan connection surrounding Star Trek Discovery's lead character Michael Burnham. In the trailer, it appears as if a young Burnham is raised on Vulcan. But it goes beyond those 'on point' eyebrows and pixie haircut. In the trailer Burnham seems to talk with a Vulcan inflection at times. But she also shows emotion backing up speculation that she could be human, raised by Vulcans.